The moon has always been the most obvious feature in our night sky. It is our nearest celestial neighbour, orbiting the earth at an average distance of 384,400 kilometers, and is large enough to display significant detail even to the unaided eye. Our moon has drawn observers since the dawn of humankind, and all people have tried to make sense of the puzzles it poses and the questions it raises. The moon provided our ancient ancestors with one of the earliest means of keeping and measuring time, and many early religions had cults that worshipped it. When it eclipses the sun it provides one of the most awe-inspiring views in nature. 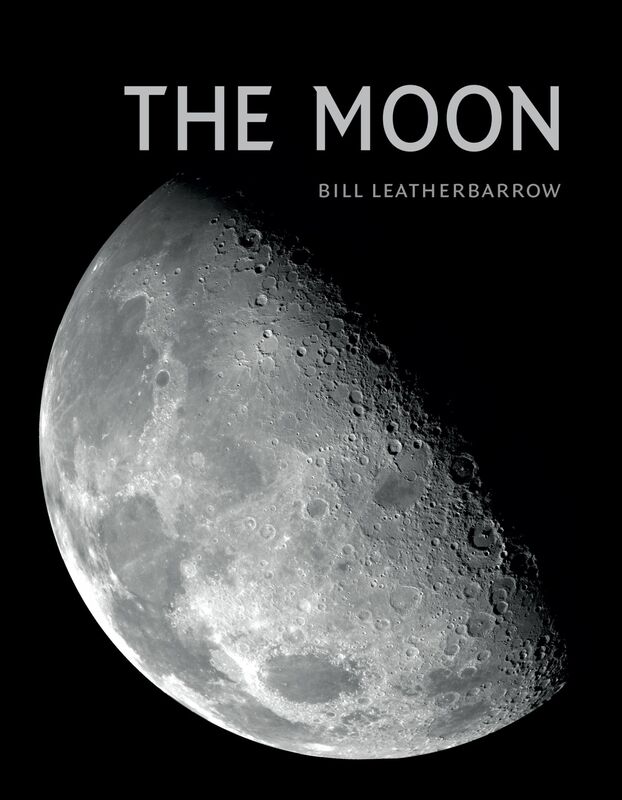 In The Moon, celebrated amateur astronomer Bill Leatherbarrow provides expert insight into the history of our study of this compelling astronomical body. Drawing on his own decades of lunar observation, he describes how and why the observation and study of the moon has evolved, particularly in the age of telescopic study. He also offers an overview of current scientific thinking and developments in lunar science since the advent of the Space Age, even providing practical advice on how to make your own observations of the moon. Extensively illustrated with images of the lunar surface taken both from spacecraft and using amateur equipment, this book is an accessible introduction to complex astrophysical concepts that will give all amateur astronomers and anyone fascinated by this natural satellite something to moon over. "The more astronomy has learned about our solar system, the more fascinating these lifeless worlds have become. This is certainly true of Earth's nearest neighbor and very nearly sister planet, the moon. It's in every way the most familiar of all our celestial neighbors, and yet, as Leatherbarrow's beautifully illustrated new book makes clear, the moon still holds surprises. Wonderfully produced by Reaktion Books, The Moon takes readers through the various stages of humanity's curiosity about the moon, including the first rudimentary attempts to understand what this luminous object in the sky actually was. Leatherbarrow's energetic narrative tells the familiar story of the leaps science has made in seeing this next-door neighbor clearly." "A remarkably engaging and lucid narrative. . . . The Moon is an excellent example of science writing at its finest. Highly recommended." "A highly readable account of the Moon and humanity¹s relationship with it."